Weldlogic PLS Weld Seamers are designed for straight line welding of all weldable metals in thicknesses from .005” to 1/2” and lengths up to 15 feet. The addition of the ARC-VIEW system allows operators the ability to remotely view, record and make adjustments during the welding process as the camera automatically adjusts upon arc start to allow the viewing of the weld puddle. 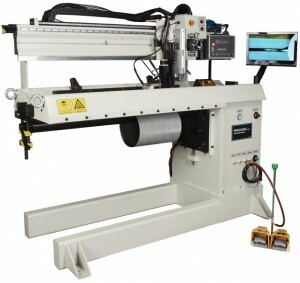 The system can also be used for pre and post weld inspection of the part.